Maybe it doesn’t seem urgent at the moment, but attracting a younger crowd to your medical practice is important for keeping your business alive. Or maybe it does seem urgent, and that’s exactly why you’re reading this article for information on how to attract millennials to your medical practice. Either way, it can’t be denied that millennials make up a very large portion of the world’s population, and businesses — including healthcare professionals — should cater to the unique needs of this massive and powerful group in order to succeed. Furthermore, appealing to the older “baby boomer” generation will fail to produce significant results when the time comes for millennials to take care of and make medical decisions for their parents. Want to know more about inbound marketing and how it can help your business? Contact AGENCY H Inbound today! This concept isn’t exclusive to the healthcare industry. In fact, caring about people is one of the basic fundamentals of customer service, which is a pretty universal business principle. Unfortunately, many doctors and physicians tend to forget that healthcare is a business, and they fail to promote the human interaction aspect of their enterprise. But while expressing genuine concern for your patients may seem like more of a retention strategy than an attraction technique, it should be noted that word of mouth and peer recommendation are very important in healthcare services. 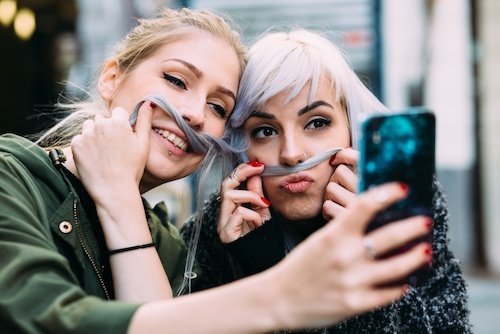 Failing to establish a connection or form a relationship with a millennial patient may cause that person to look elsewhere for healthcare services. One patient may not seem like a big loss, but consider that many millennials plan to start a family at some point in the future. And they probably won’t bring their children/spouse/parents to you if that human relationship hasn’t been established. And while you’re at it, make sure the scheduling feature is convenient, and optimized for mobile. Plenty of millennials work in an office with an open setting, and it’s hard to find the privacy to make a call to a doctor during normal hours. By the time they’re home from work, your office is closed. Provide automated online scheduling so your prospective patients can make an appointment promptly and easily without compromising discretion. Plus, online scheduling can be completed from just about any location, especially if your site is designed for mobile use. Speaking from experience, if I land on your website, but it takes me longer than one minute to find the information I’m looking for, I’ll probably try a different website. If I can’t find your website at all— or if I don’t know it exists— I’ll definitely try a different website. As far as I know, there’s no incentive for me to keep digging for information when it is readily available elsewhere. Millennials appreciate convenience. Make sure the layout of your website is clear and easily navigable. It also helps tremendously if your practice is among the first few search results on Google, so put some effort into your SEO (search engine optimization). If you’d like to learn more about how to attract more patients (and millennial patients) to your medical practice, well, that’s exactly what we’ve been doing for years. Contact AGENCY H Inbound today to discuss how an inbound marketing strategy can help your medical practice grow year after year.